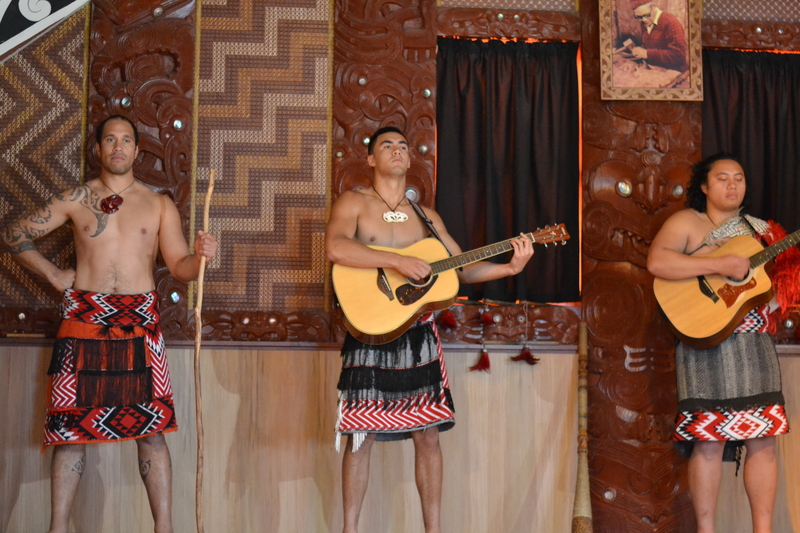 When we visited Rotorua, New Zealand, we took in the story and culture of the Maori people at Te Puia. They danced and played music for us. It was a lot of fun and they were very interactive, our friend Bryan was chosen to be the chief of a different tribe. We weren’t allowed in until Bryan was deemed safe. 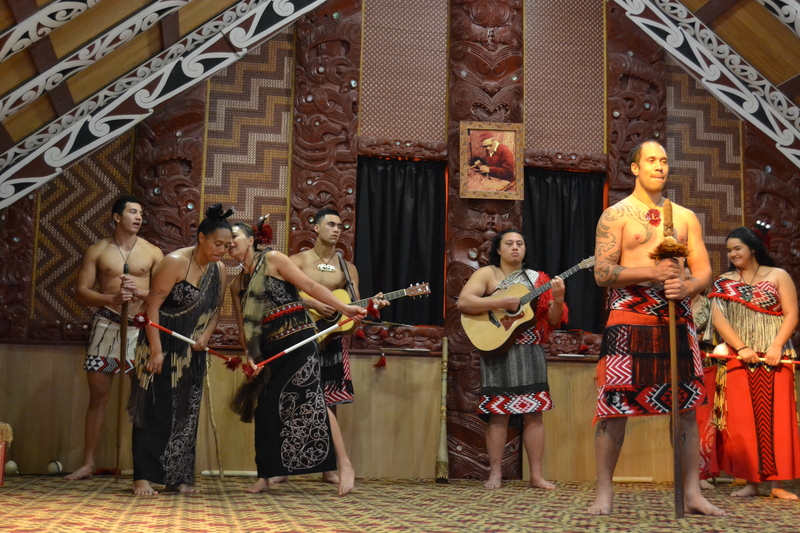 Similar to Hawaii, the Maori culture performs for visitors and is excited to share their history and culture with guests. 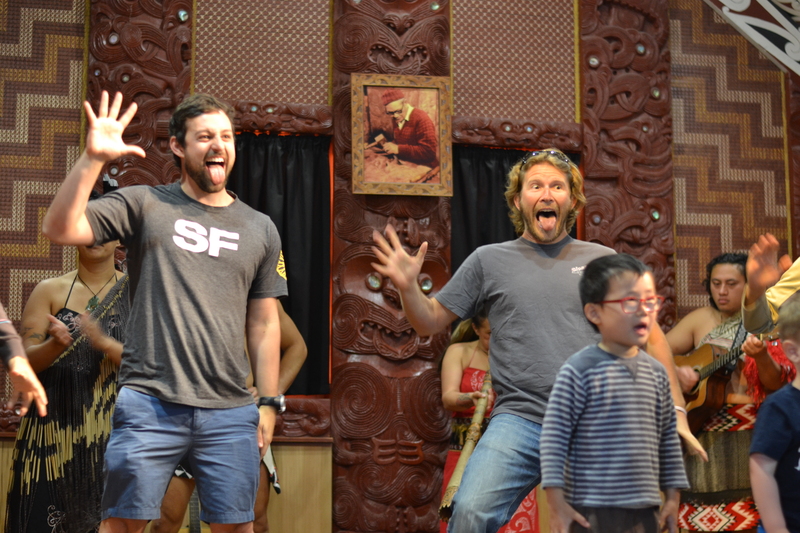 I thought it was a lot of fun and would recommend it to anyone visiting the North Island of New Zealand! I’m from Holland, my mom’s brother moved to New Zealand when I was just a little girl. I never got to meet him, he died in a horrible train accident. What I do remember are the postcards he used to send, mostly beautiful photographs about the Maori people. It’s so nice to see this picture on the first blog I started following 🙂 thanks! Woo! You’ll have a blast!